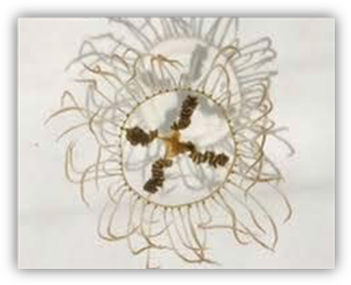 (18/P059) TRENTON – Clinging jellyfish, a nonnative species with a powerful sting, have been confirmed in the north-central region of Barnegat Bay, prompting the Department of Environmental Protection to expand a recreational-use advisory to the entire bay. The advisory follows advisories the DEP previously issued for recreational users of northern Barnegat Bay, the Metedeconk River in Ocean County and the Shrewsbury and Manasquan rivers in Monmouth County. About 40 clinging jellyfish were confirmed in north-central Barnegat Bay on Monday – at Jonny Allens Cove on the bayside of Island Beach State Park and in eelgrass beds on the north side of Tices Shoal, a popular boating and watercraft area on the bay side of the park. The jellyfish collected in both areas were in varying stages of maturation. The clinging jellyfish is not known to inhabit ocean beaches or other sandy areas but tends to attach itself to submerged sea grass and algae in back bays and estuaries, areas not heavily used for swimming. Recreational users of the bay, including those using the popular Tices Shoal area, are advised to be vigilant to the possible presence of clinging jellyfish. Clinging jellyfish stings can produce severe pain, muscle cramping and other localized symptoms. In some individuals, stings can result in hospitalization. In Barnegat Bay, beds of sea grass can provide ideal habitat for clinging jellyfish, which are very small and hard to see in the water. The clinging jellyfish ranges from the size of a dime to about the size of a quarter. It has a distinctive red, orange or violet cross across its middle. The DEP encourages the public to use common sense and caution in areas where jellyfish are suspected. Anyone wading through these areas, especially near sea grass, should wear boots or waders to protect themselves. The clinging jellyfish was first confirmed in New Jersey in 2016 in the Manasquan River at the Point Pleasant Canal. The DEP is working in partnership with Montclair State University to continue clinging jellyfish surveys in the bay. Apply white vinegar to the affected area to immobilize any remaining stinging cells. Rinse the area with salt water and remove any remaining tentacle materials using gloves or a thick towel. A hot compress or cold pack can then be applied to alleviate pain. If symptoms persist or pain increases instead of subsiding, seek prompt medical attention. People are advised against trying to capture clinging jellyfish. Take a photograph if possible and send it to Dr. Paul Bologna at bolognap@mail.montclair.edu or Joseph Bilinski at joseph.bilinski@dep.nj.gov along with location information.